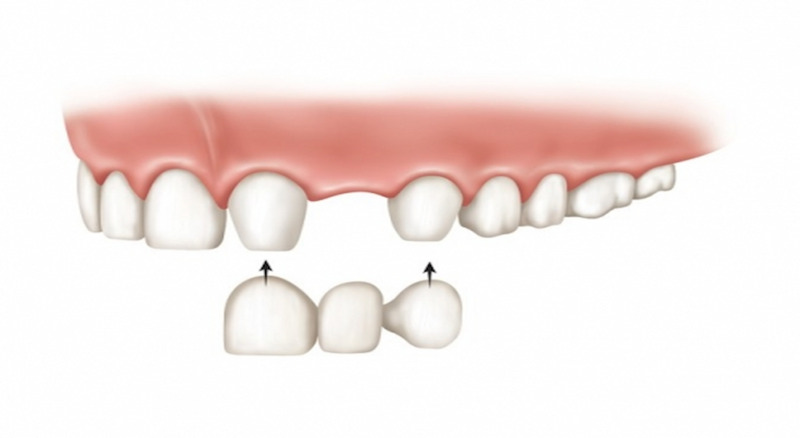 Home » dentist-blog » Bridge or Implant? I have had a 2cm abcess on the top left hand side quadrant of my teeth, went to the dentisit with a toothache and after xray was told i have a massive infection on tooth 26/25. I was referred to a specialist as both of these teeth are already crowned. the specalist told me that tooth 26 can be saved with specialist root canal, and tooth 25 cannot be saved as it has a metal rod implanted already. you can see tooth 25 when i smile. i dont have the corresponding bottom tooth for tooth 26, so the specalist said there was not point fixing it unless i plan to replace the bottom tooth , as effectively it is a non use tooth, unless i plan to use it as a bridge. my dilema is, should i have both teeth removed and then an implant to replace tooth 25, or get a bridge to replace tooth 25.. i am really against root canal as in my experience it rarely works and it is a lot of wasted money. also the teeth either side of tooth 25 would still be ‘live teeth’ so do i spend $6000 getting root canal on tooth 26 and then a bridge to replace 25 with 2 live teeth either side my thinking that something can later happen to those live teeth which will then be a waste. or spend $5000 getting implant and at least tooth 25 will be ok. Ps this is a huge amount of money for me as im a single parent, but nearly everyone has advised me against a dentrure the cheapest option…. Thank you for you detailed email. It would be my inclination to replace tooth 25 with an implant providing you have no dental or medical reasons why that would prevent that being a reliable solution. As you mentioned a bridge would rely on heavily restored teeth. A failure of one of them would result in failure of the bridge. To help try to allay your concerned about root canal treatment, root canal treatment if there is adequate remaining tooth for a crown and the tooth is not cracked is better option than having the tooth removed and an implant placed. While implants are a great solution they are not successful every time and have a similar success to root canal treatment. You are always better off with your own teeth if at all possible. I hope that helps, please let me know if you have any more questions. By Dr Luke Cronin| 2016-10-19T14:03:11+00:00	April 1st, 2016|Cosmetic Dentist North Sydney, Cosmetic Dentist Sydney, Cosmetic Dentistry, Dental Advice, Dental bridges, Dental Implants|Comments Off on Bridge or Implant?